Your centerpieces are the single most important design element in your reception space: More than any other detail, they create the wow factor when guests walk into the room and then serve as the eye-level interest once everyone takes their seats. And it’s not about just the types and colours of the flowers they feature, but their shape, whether geometric or more organic, and their size-high, low, or a combination of the two. Want to give your flowers some extra-pop? 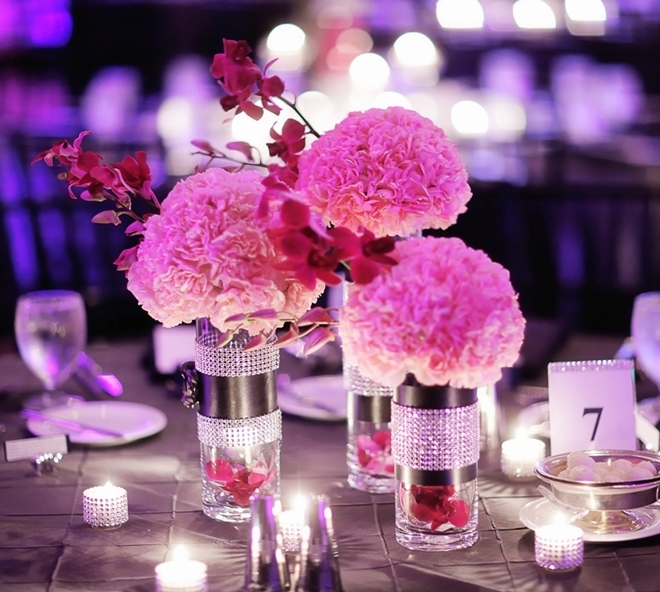 Non floral elements, such as candles, crystals, or even some traditional elements, when set around centerpieces, provide a nice contrast against the blooms’ soft petals. Or you could skip the flowers completely and top your tables with rustic lanterns, vintage lamps, or an edible display of little desserts! 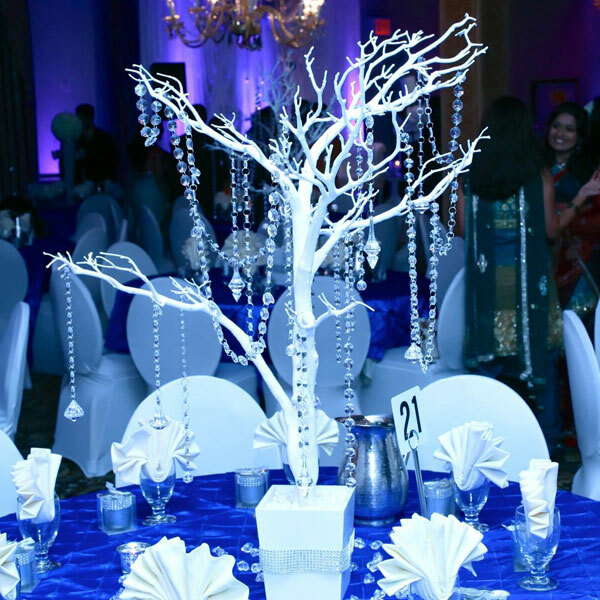 Your centrepieces should match the scale of your venue. 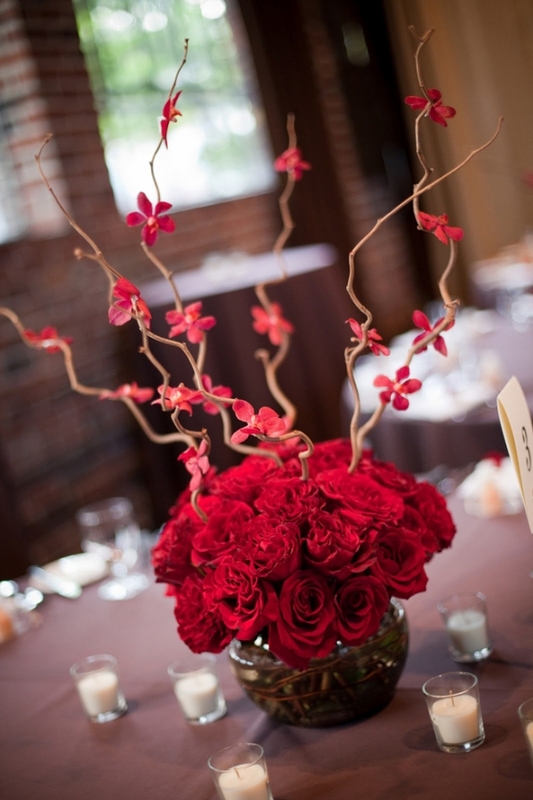 Tall arrangements can work if your venue has high ceilings or is outdoors. 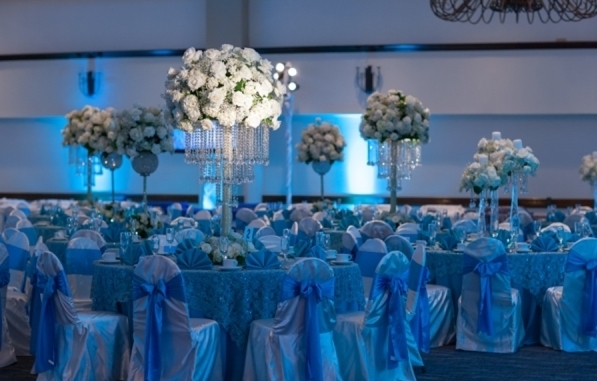 Generally taller the ceilings, taller your centrepieces should be. 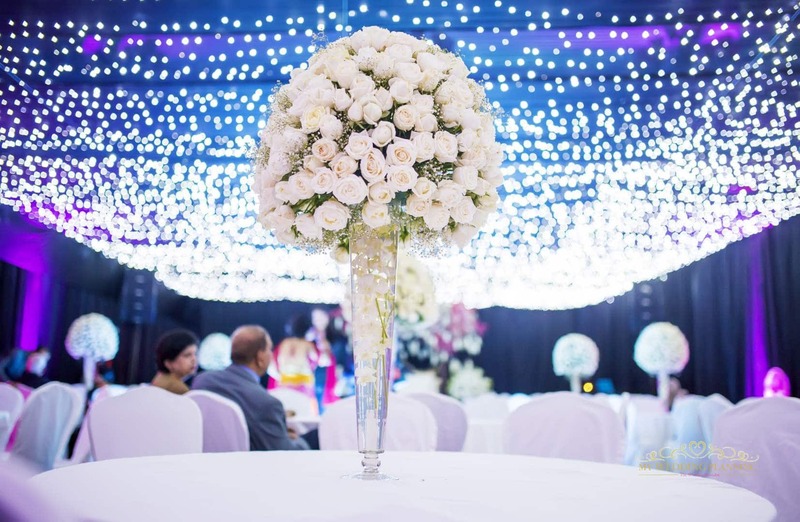 However having a tall centrepiece will definitely add up the costs as they will require a lot more flowers than the bouquets used in small centrepieces. 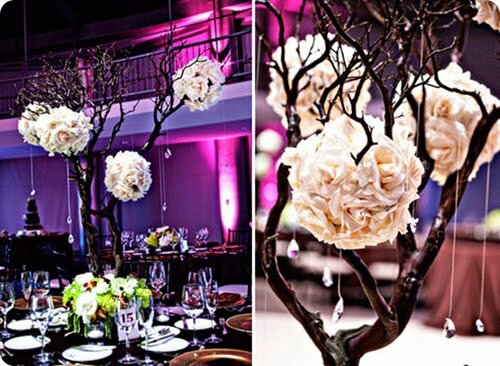 If your venue space is small, opt for small centrepieces, else it can get claustrophobic. 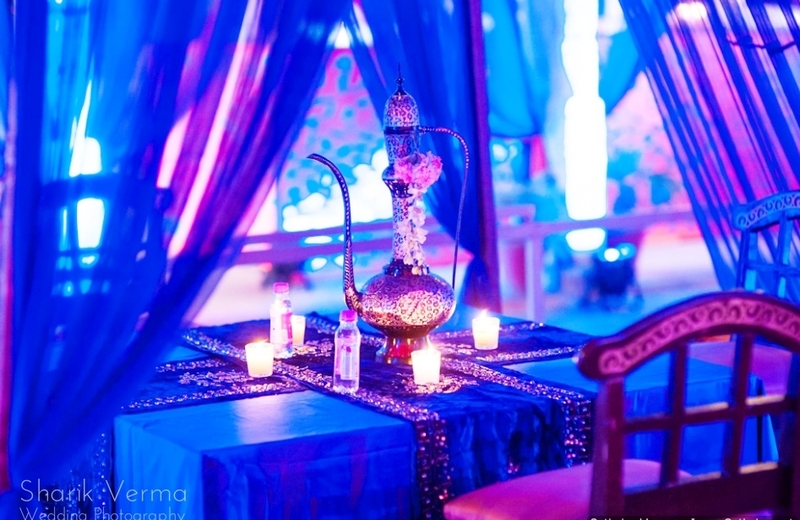 Also if you have small tables, opt for small centrepieces. If you have a long table, go for 2-3 centrepieces on each table. 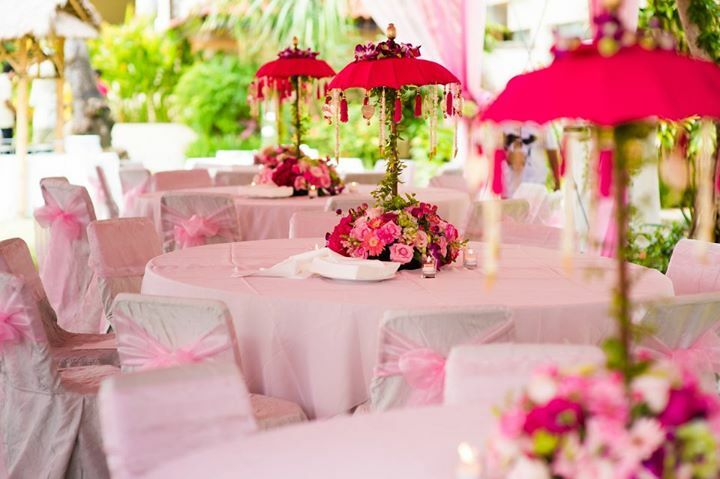 You can also opt for both tall and low centerpieces and mix and match them on different tables. This will add texture to the room; it also breaks up the uniformity and relaxes the mood of the space. 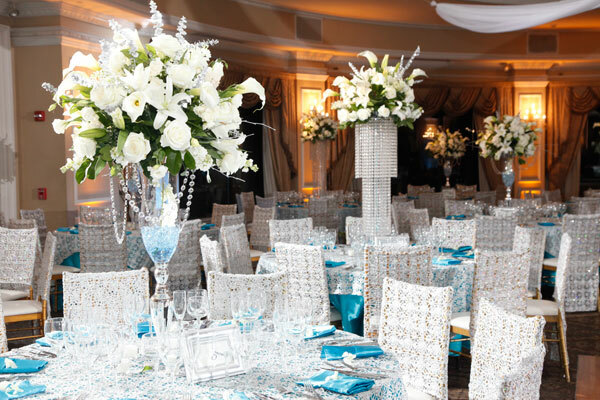 Do you want the centerpieces to highlight the space or completely transform it? 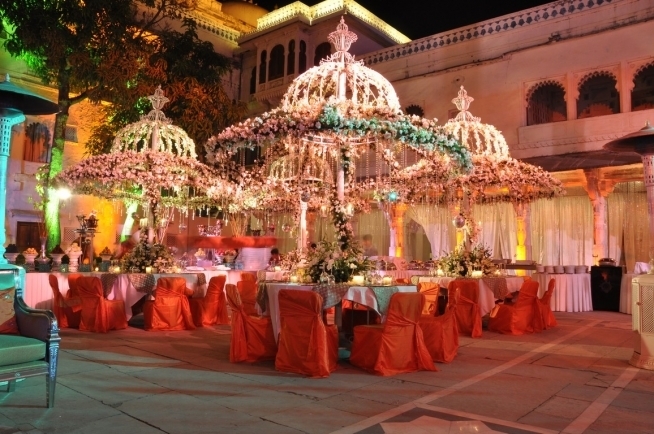 If you wish to highlight the venue use subtle, light colours and pastel shades like cream and ivory. This will add elegance to your decor. 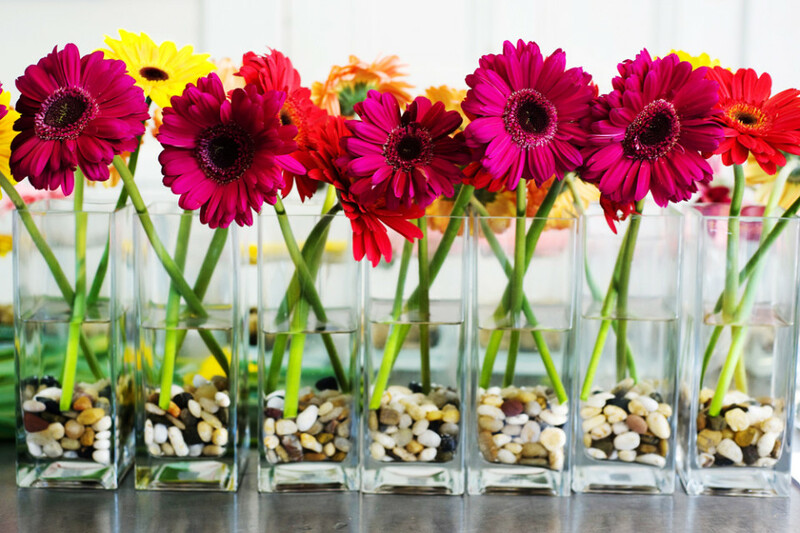 If you want to completely transform the space with your centerpieces then opt for brightly coloured flowers, tall centerpieces and interesting layered centerpiece designs. If your venue has a bright carpet with designs on it, go for a monochrome centerpiece. 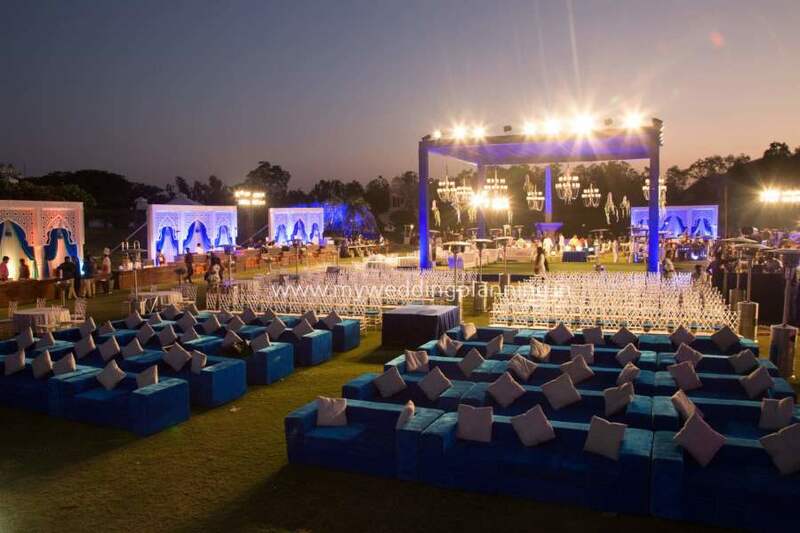 If you’re venue is mostly white, use structured white centerpieces with just one or two kinds of flowers to play off the clean lines of the space and the brightness of the white walls. 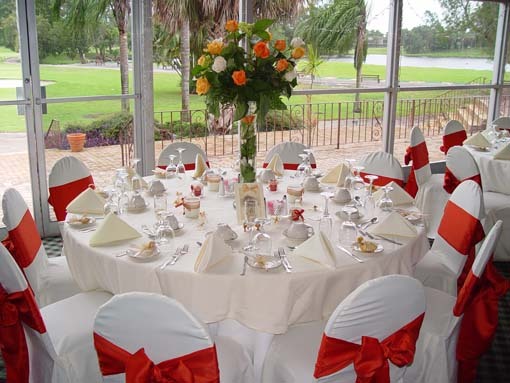 If your venue is too plain (like an outdoor lawn or garden), it is the best time to use centerpieces to change the look of the place. 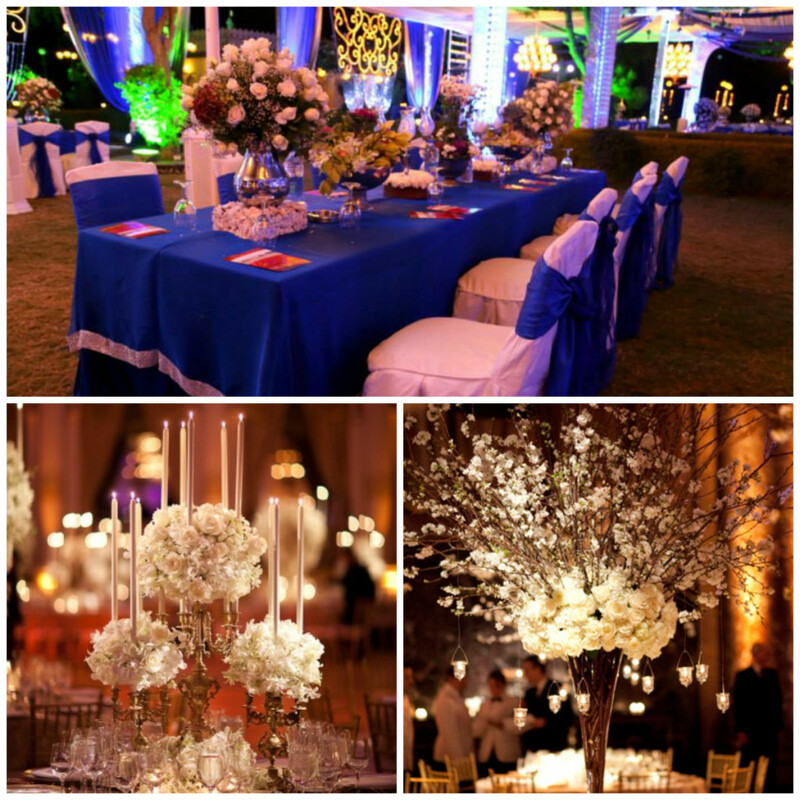 If your venue is very large, use tiered centerpieces that are tall and have one or more layers above the base. 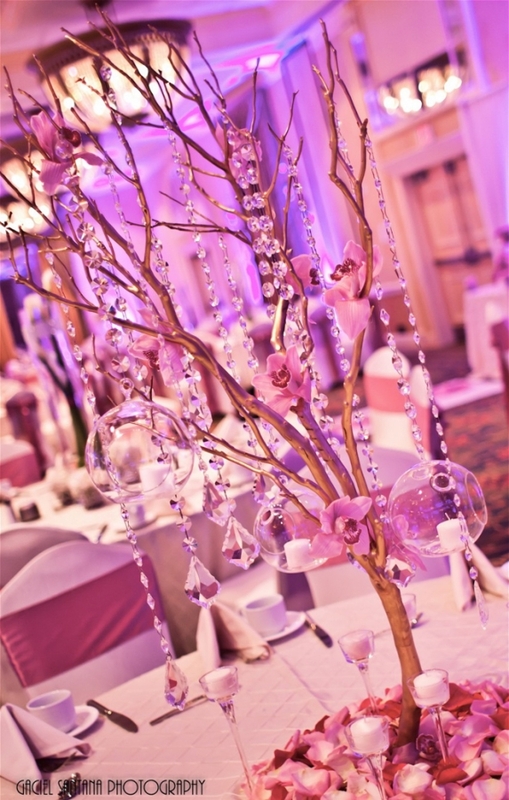 Centrepieces aren’t limited to flowers. 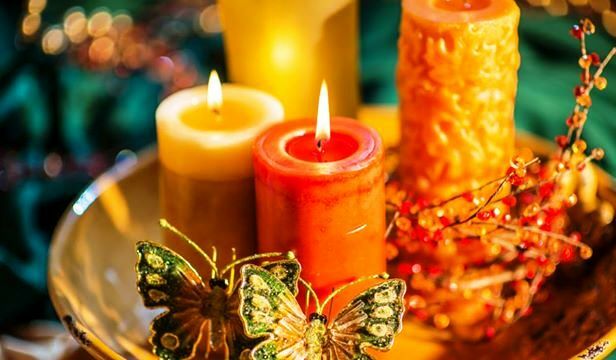 Candles are a great decor element and make superb centrepieces. You can also use tea lights as cheap and effective centrepieces. To be a bit more daring, downplay the flowers and play up the sources of illumination from lamps to lanterns. You can even rent antique looking vases for a classic look. 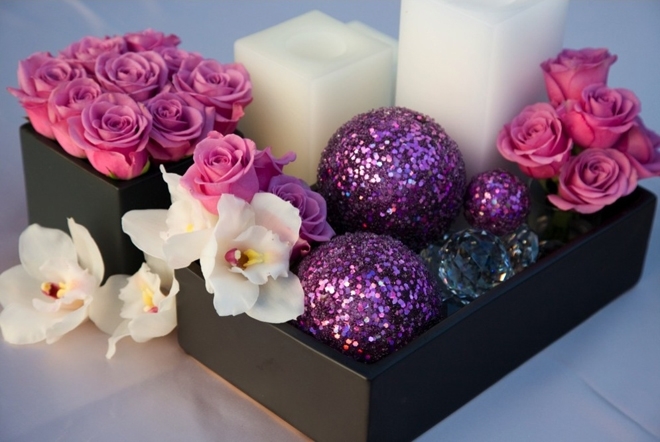 Think outside the box and decorate your table with anything that’s beautiful to you! Candles are a popular choice for cheap wedding decorations. 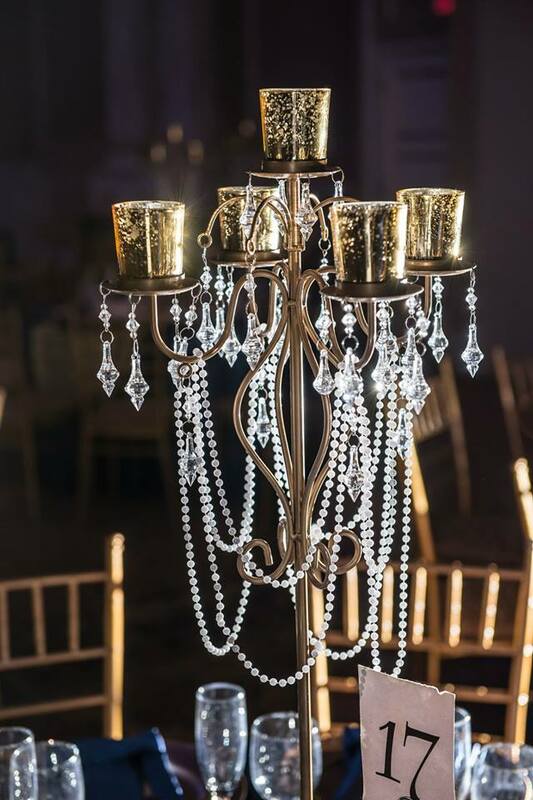 They also provide romantic and understated lighting for your space at an inexpensive price. Teaming candles with glass or crystal adds to its charms and elegance giving you a sophisticated result. 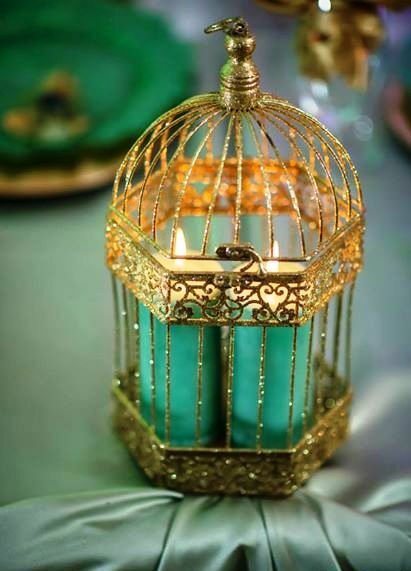 For adding an exotic and warm feeling to your dream wedding you can use votive candles, humble tea lights or candelabras. 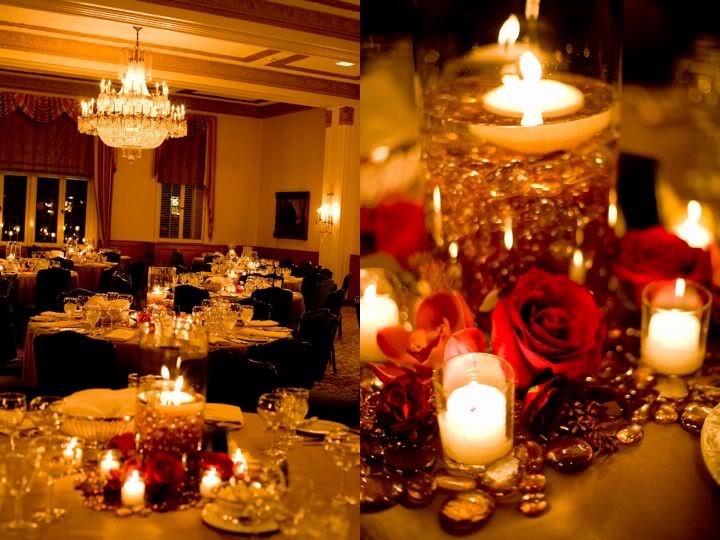 Pillar candles, glass bowls with floating candles and candles teamed with crystal ladis are also uber chic options! If your decorator already has these centrepieces in his inventory, chances are you might get a good deal on them. Fresh flowers are not reusable, but these are! Whether your venue has low ceilings or you just want to keep it simple, short centrepieces, standing alone or in groups, can be all the embellishment the tables need. Keeping it simple, will also bring down your decor cost considerably. Tall centerpieces are always a smart choice for dressing up outdoor events. 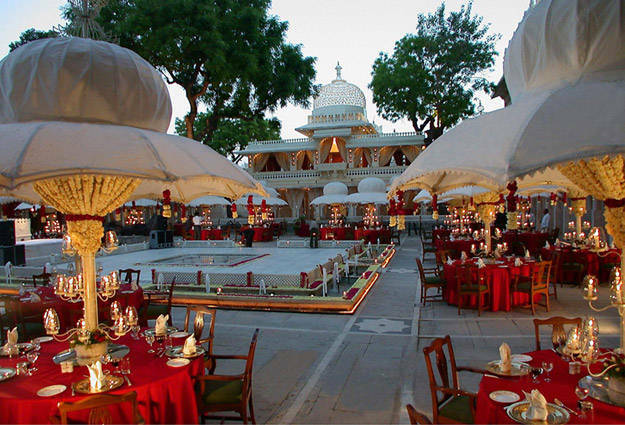 The only precaution on needs to take is to ensure that guests can see from across the table. Hope you liked these ideas! Will be back tomorrow with some lehenga inspiration! You don’t wanna miss it! 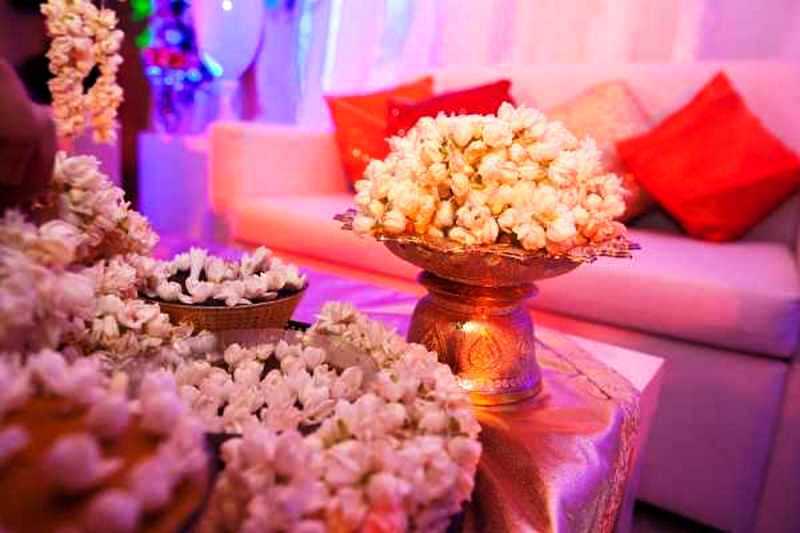 PreviousPrevious post:5 Inexpensive & Fun Decor Ideas that are sure to transform your mehendi!NextNext post:You can’t go wrong with these lehenga trends!